Do you look out on your yard and wish that it was filled with as many beautiful shrubs, colorful flowers, and decorative garden ornaments as your neighbors, but do not know where to start when creating a landscape plan? Well now planning a home garden design no longer has to be a long, hard, and daunting task! 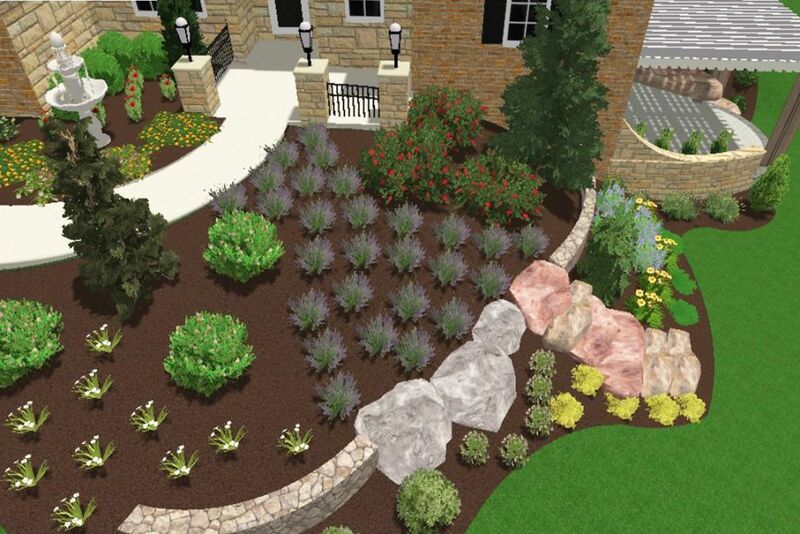 With the variety of new landscaping software programs available for purchase or free download. Gardening at home is simple, quick, and fun! Garden software provides you with a step by step guide to the design process, beginning with the layout and placement of your plot, to what types of plants to use, how much lighting they need, and even an optimal watering schedule. With the variety of garden and landscape drawing software available, the hardest task will be deciding which program to use! However with a few tips, plus a little research and review you will be on your way to finding the best home and garden design software for you. A good question to ask before making a purchase is “What features do I look for in my garden designer software?” Most landscape designing programs can cost anywhere from $40 to $600, depending on they type and quality of the program you purchase. Typically cheap garden planner software will limit you in the types of features available, the graphics of the program, and also the plant index library. Moreover, if you download free home design software you will not only be restricted in your access to tools, layouts and libraries, but you may also be constrained in the amount of time that you have to use the program. There are many different types of software programs available for home and garden design. For example if you are looking for help in designing a vegetable garden you can find software that will guide you in these steps, while others programs focus on planning the entire landscape of the exterior of your home. 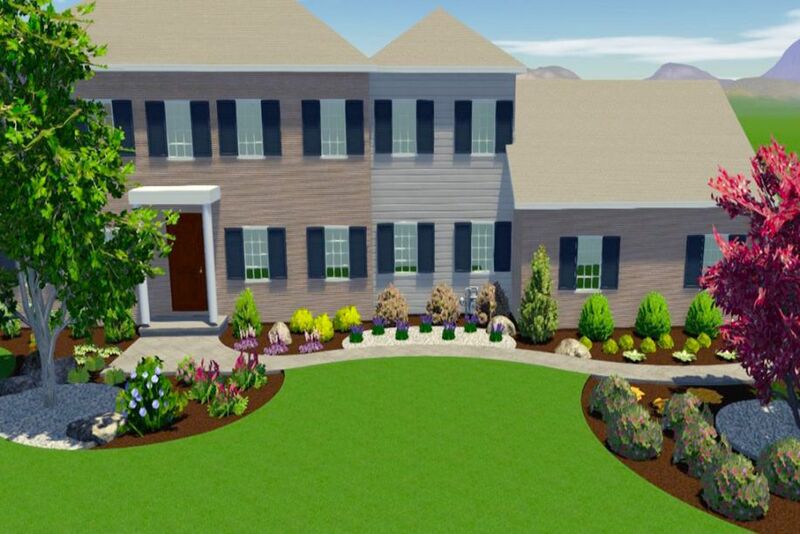 Landscape design software is particularly helpful for homeowners who are either building a new house or renovating their whole yard because these programs help plan the layout of this space including the placement of larger trees, fences, and irrigation systems. One of the most popular programs with the most highly rated reviews in 2017 is RealTime Landscaping PLUS from IDEA spectrum. One question many homeowners ask themselves is “Can I design my yard online without downloading a garden layout app or landscape software program?” The answer to that is yes! In addition to downloading or purchasing programs, you also have the option of using online software that does not require installation onto your computer. 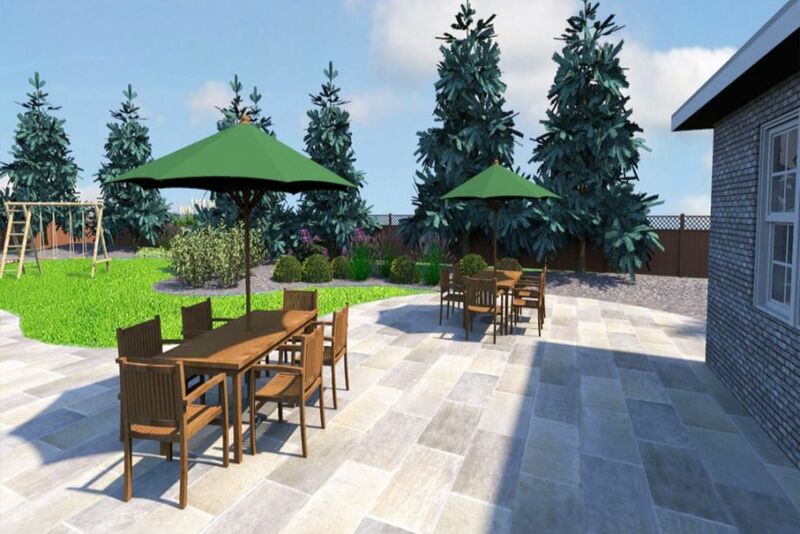 For example, plangarden.com is an interactive garden planner that allows you to create, build, and share your designs, all online! This website is primarily used as vegetable garden planning software to guide homeowners in growing, cultivating and harvesting bountiful crops naturally and free of herbicides. A common feature characteristic of almost all of the newer design programs is the ability to view garden plans in the third dimension. 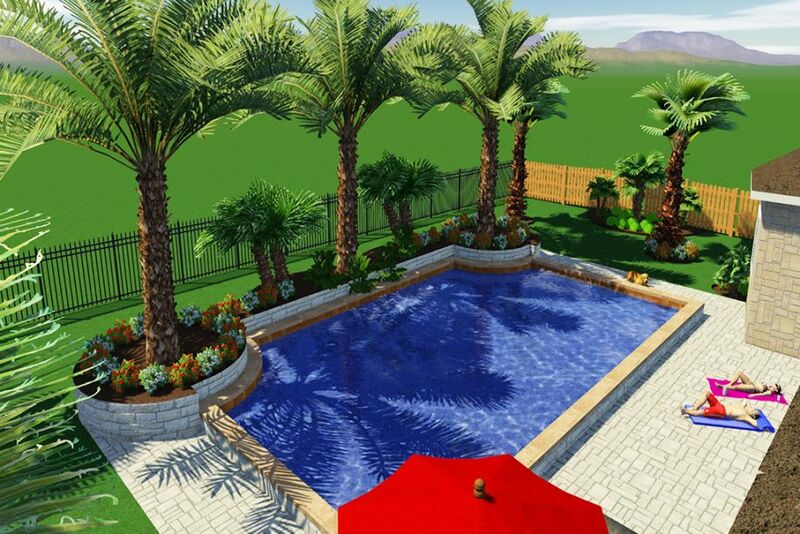 These 3D garden planners provide a more realistic image of your landscape and layout so that you can better visualize how your designs will look in your yard. Whether you experiment with various furniture items or different plants and trees, you will be able to see almost exactly how these items will look in your garden. 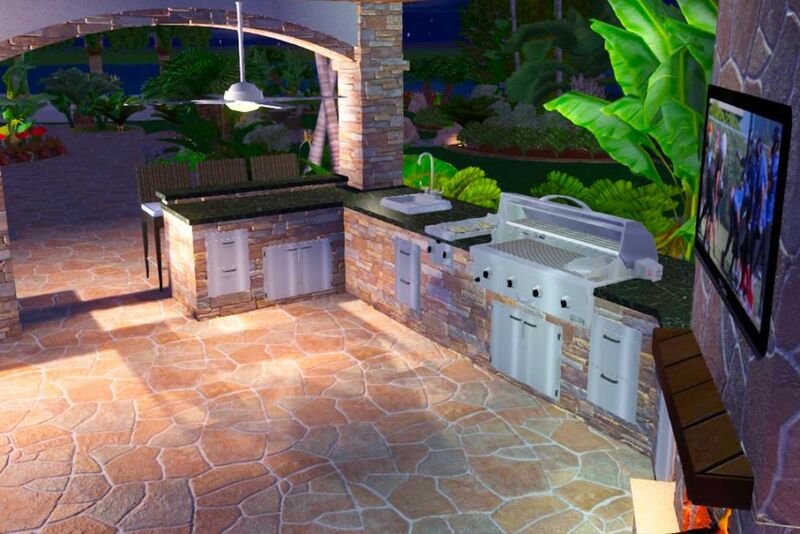 In addition to stellar 3D graphics, more manufactures are backyard design ideas and a directory of plant libraries, growth indexes, and climate regions in their programs, to provide consumers with vital information about ideal climates for growth and survival and how much water or sunlight different vegetation need. Most homeowners will download a simple app for designing a garden without realizing that it will aid them in much more than creating a layout. Not only will flower and vegetable garden designer programs help you draw up a perfect plan for your plot including spacing, crop rotation, and size, but some of them also provide you with pre-created layouts or unique ideas for different spaces. For example, some programs offer specific blueprints to create a raised bed garden on the porch so that homeowners with a very small yard can still have beautiful flowers or tasty vegetables. HGTV’s Garden Design software allows you add an irrigation system to your layout, configure the placement of pop up sprinklers to incorporate a watering system into your garden design, and even allow you to adjust the spray range of the sprinklers to make sure all your plants obtain the optimal amount of water.